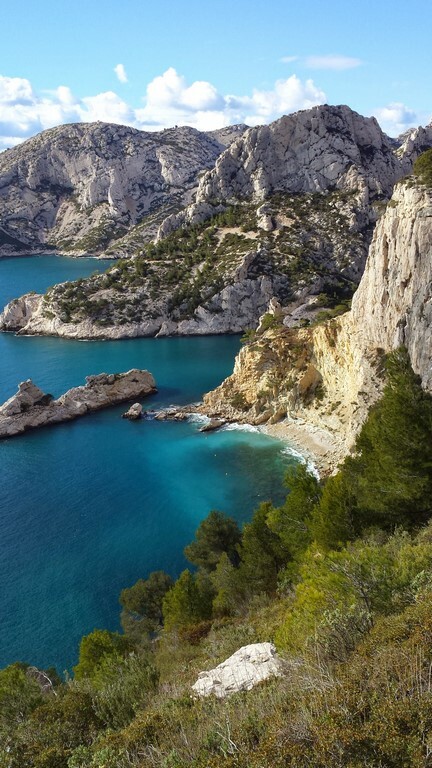 Easy loop from Sormiou’s gate to discover the specificities of this area in the middle of the Calanques. The focus will be on the maquis and Mediterranean flora growing on the limestone. Across the exploration, we will discuss the melliferous plants, the aromatic ones, the edible ones. We will also evoke the fragility of this area. Numerous discoveries are in store for the visitors, to brighten up the sublime landscapes. Swim stops possible on demand. Tour adapted to families, schools, etc. All your senses will be alert to appreciate the experiences we will make during this tour. This ramble is dedicated to every person curious to discover the small secrets of the guarrigue, at the doors of the city. From Sormiou’s gate (public bus nearby, La Cayolle area), we will head to Cortiou’s pass crossing dry-stone wall terraces typical of the area. Several surprises are awaiting you, including beautiful panoramic viewpoints, beehives, pine forests, various stages of garrigue. Melliferous and aromatic plants, common or rare, will be visible along the way. 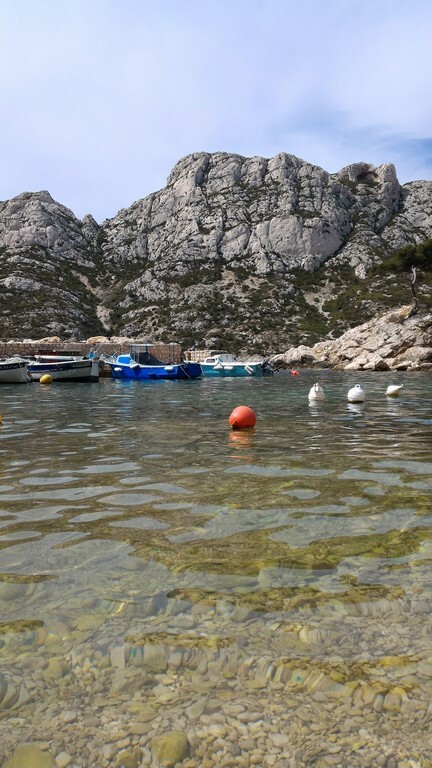 Upon arrival at the port, we will discuss the traditional activities of this Calanque, in particular the fishing. We will then go back and join the Baumettes’ pass and our departure point. Although, we will not encounter any big technical difficulty, the pathways are stony. Therefore, it is necessary to come with good shoes. In summer, the heat can be strong, we recommend you to wear a hat. Bring walking shoes, comfortable clothes, a backpack, suncream, sunglasses, camera, water, picnic, snack, swimming suit and towel in summer. Lunch is not included. Bring a picnic and enough water for the tour. Be careful, it is not possible to refill water bottles during the tour.